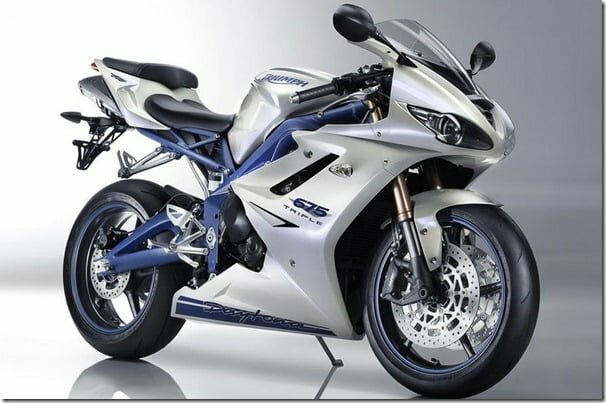 At the 2012 Auto Expo Triumph Motorcycles showcased its complete line-up for the Indian market. It was expected that the launch of the brand and its motorcycles will happen shortly after the Expo but unfortunately the brand then officially announced that the launch was deferred by 6 months. Deferred by an appreciable time, now the launch is expected to take place in the month of October 2012. UK’s Triumph also wishes to enter other emerging markets and show its potential there. Interestingly it is being reported that the manufacturer is developing an all-new Triumph 125CC sports bike and will launch the same by the end of 2013. This Triumph 125CC Sports Bike comes as an alternative for emerging markets where the premium-end Triumph motorcycles are a bit too pricy and a less powerful substitute could increase their chances of a successful establishment. The company is expected to set up a new assembly plant in Karnataka this year. It will be the third plant after UK and Thailand and will initially assemble only four models of the complete line-up. The models to be assembled for the local market are Triumph Bonneville, Triumph Speed Triple, Triumph Street Triple and Triumph Daytona. Triumph is following the footsteps of US based Harley Davidson which recently set up a local assembly plant in Haryana last year and is also working on an India specific model. The new model will feature 500 CC to 750 CC engine and will be priced close to Rs. 4 lakhs. At present, if you look at the look at the affordable sports bike segment, it is at one of its peak times with sales number on a rise and premium looking affordable sports bikes like Yamaha R15, KTM Duke 200, Honda CBR250R, newly launched Honda CBR150R etc. already competing strongly in the segment. Entry of Triumph 125CC Sports Bike in this segment will not only increase the choices for buyers, but will also encourage better quality and features as the competition will increase. We will keep you updated with the latest happenings, do stay tuned to us for latest news by signing up for our free email newsletter and like our official Facebook Page.